South Korean's eat dried out and preserved squid, fish and sting ray and boiled sea shells. 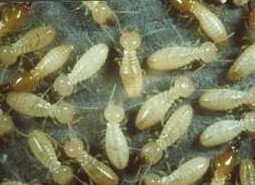 First of all this comment "In South Africa, termites are often roasted and eaten by the handful, like popcorn." is not a fact but more a misguided stereotype. haha I have lived in South Africa for 23 years and have never eaten nor seen people eat roasted termites.....Perhaps this comment should rather say in some parts of Africa because South Africa actually eats popcorn and all the other normal foods like those eaten in America. In fact, in Korea they tend to eat such strange foods such as dried out and preserved small fishes, squid, boiled sea shells and sting ray, which are similar to the eat beef jerky people eat in America.